Captain Tractor has been playing their distinctive brand of Celtic Folk Rock in Alberta and abroad since 1993. If the band were a person, it would be graduating high school this year. Graduating, with honors that is. 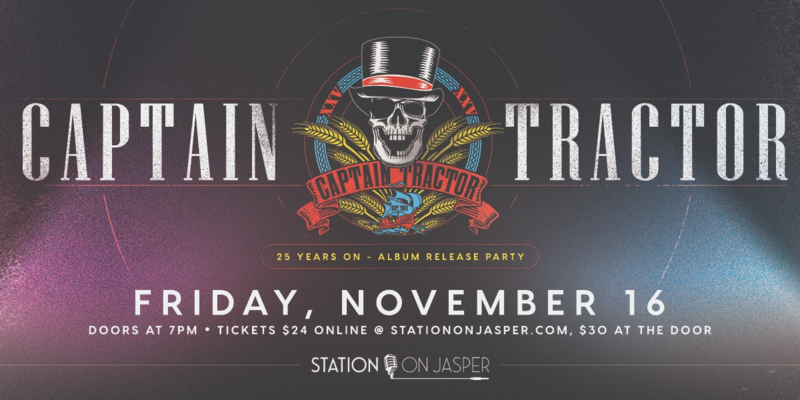 With seven full-length albums, two retrospective compilations, appearances on several collections (Due South, Higher Ground, Michael Weston King, Songs From the Ave), and a handful of awards, Captain Tractor is forging ahead. Doors open at 7, but come in early for some great food and drinks.